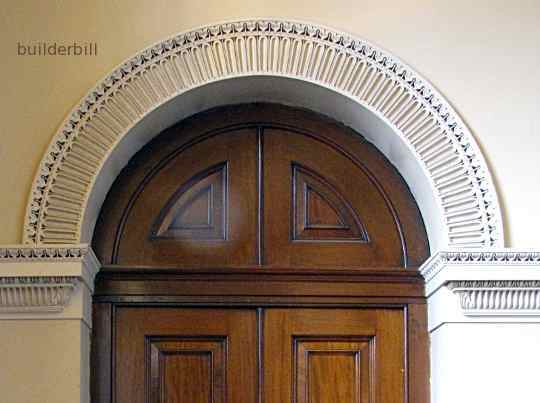 An architrave that continues around an arched opening following the curve of the arch. 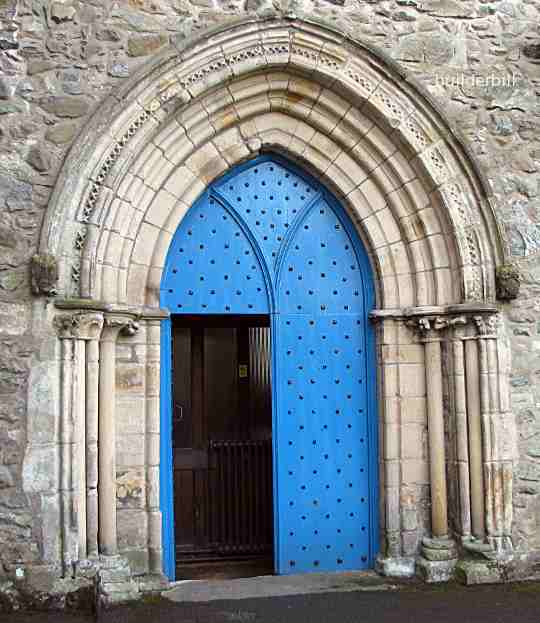 This is a fairly typical doorway to a Gothic church building. this on is at Cartmel Priory Church in Cumbria, UK. Quite often in these church buildings the architraves that surround the door opening more than double the size of the opening. All of the great Gothic Cathedrals and many other public and religious buildings use these design elements to make entrance doorways grander and more imposing. Quite a lot smaller but still a nice design feature the archivolt here is an moulded plaster feature that picks up on other decorative elements in the room.